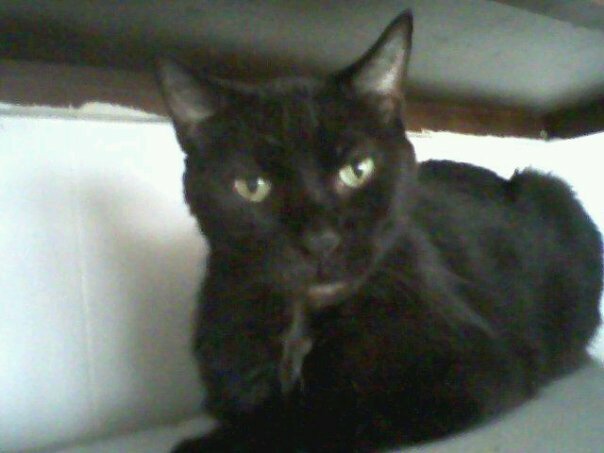 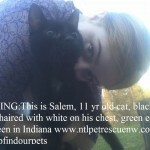 MISSING: This is Salem, 12 yr old senior cat, black short haired with white on his chest, & under his belly by his bottom, green eyes, responds to both Salem & Batman. 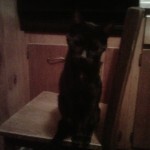 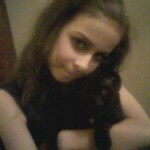 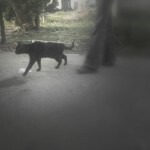 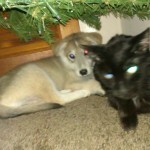 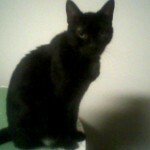 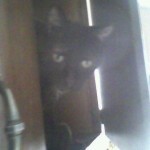 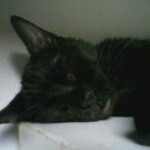 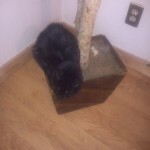 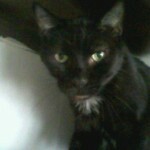 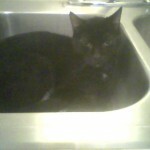 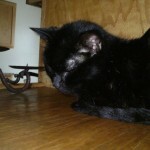 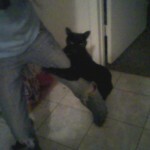 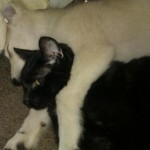 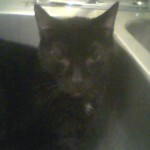 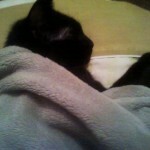 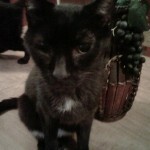 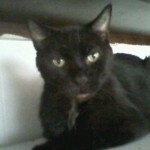 Our dog Cherokee rescued Salem from a large Rot in 2005, he had no home and we took him in and he was our first cat. 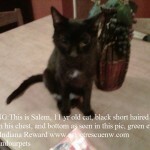 REWARD IF LOCATED! 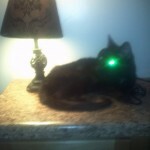 Distinguishing Characteristics: White on chest & under his belly by his bottom, bigger cat, green eyes.